A few years ago while wandering through the Uffizi Gallery in Florence, Italy and I came around a corner to discover an incredible view of the Arno and the Ponte Vecchio. On that gorgeously clear fall afternoon, the leaves were in the midst of turning a brilliant red-orange along the river. It was the kind of sight that allows you to believe, even if it’s just for a moment, that maybe you could create one of the beautiful Renaissance paintings on the gallery walls, too. Then, out of presumably nowhere, a swarm of tourists descended on the window, trapped me in my corner and began noisily snapping pictures on their phones, cameras, and selfie sticks. The moment was over as soon as a man put his iPad on top of my head to take a picture. Traveling in the age of an over-sharing culture can feel like that sometimes. Modern technology can be a godsend while traveling, particularly in when it comes to double checking flights or sending a quick WhatsApp text to mom to let her know that you’re okay. And while there is a time and a place for utilizing our gadgets, the constant tweeting, tagging, and constantly checking-in can have a negative effect on our travels. Whether your travels take you halfway across the world or to the next town over, it’s your time to truly experience the moment. That's what travel is all about. This may seem obvious, but these days we tend to use our gadgets for tasks we can easily do ourselves. Travel is empowering in its ability to force us out of our comfort zones, require us to think for ourselves, make connections, and explore. If we rely solely on our technology to solve all of our problems, we lose the sense of self-reliance and accomplishment that only travel can provide. In this age of hyper-connectivity, we ironically miss important opportunities to truly engage with our surroundings, a new culture, and ourselves. Leave it at home if you can’t live without it. Fewer things equal less stress. 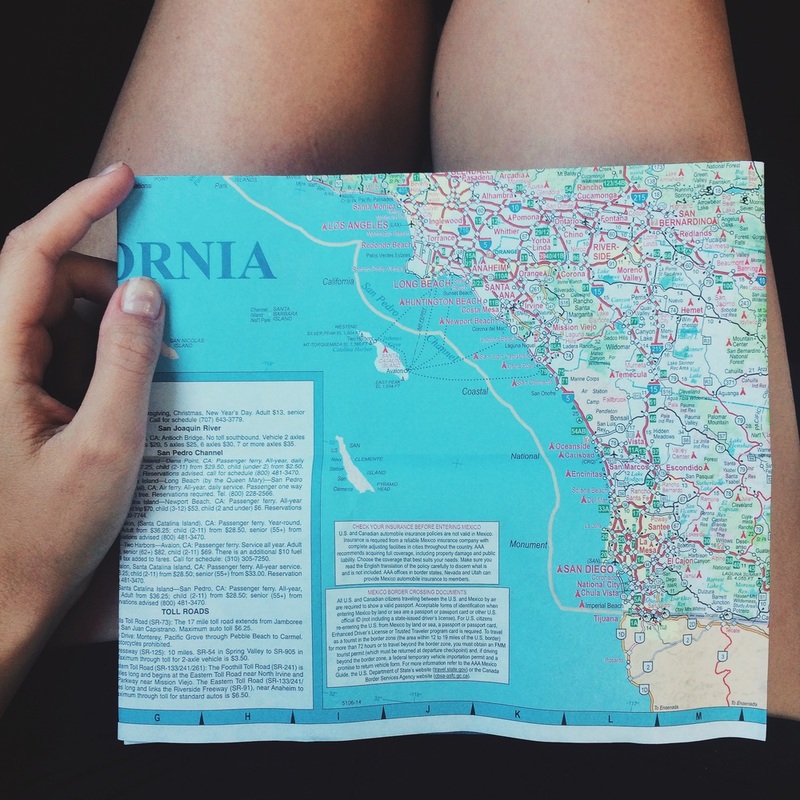 Learn how to quickly read a map. Be it a layout of new city streets, the public transportation route, or a topographical map, this is a skill that will save you time and sanity a thousand times over. Do your research before you leave. You’ll be more at ease and less inclined to pull out your iPhone to find what’s around you. Don’t be afraid to ask for help, make mistakes, or get lost. Instead of immediately turning to Google Maps, put yourself out there and ask a local for directions. Explore. Enjoy the freedom of disconnecting from life back home. Let yourself be in the present moment. There will be plenty of time to think about work or school when you’re back home. By the same token, not everything from the trip has to be shared. Traveling with a laptop is slightly terrifying to me, so I always leave it safely tucked away with family whenever I travel. Bring a notebook to jot down the research for your journeys and to take notes along the way. Personally, I love the durability and style of Moleskine notebooks. Field Notes also carries the perfectly sized pocket notebooks. This is the place to capture your memories as they happen and store ticket stubs, stamps, and postcards for safe keeping. It feels so much more personal, and besides, beat-up travel journals aren’t exactly a hot ticket item on the black market. Resist the temptation to photograph everything. Slow down. Think like a film photographer and treat each shot as if your frames are limited. Taking the time to compose your photos is only going to make them better. Unless you have an international SIM card or have a hankering to rack up intense foreign roaming fees, keep your phone on Airplane mode. If you are concerned about having your phone for safety, write down a list of important phone numbers in your notebook, such as: U.S. Embassy, nearest hospital, recommended cab service, accommodations, etc., in case of an emergency. The chances are that your phone wouldn't work and that you'd have to stop somewhere to call anyways. It's also smart to wait to research your on-the-go findings or upload those Instagrams back at the hotel with free Wi-Fi. While there are aspects of modern technology that certainly make life while traveling easier, I'm a big fan of going old school and remaining unplugged. What's your travel preference? Do you like to stay connected or remain offline while abroad? Is it possible to truly engage where you're at if you can easily "check-in" back home?